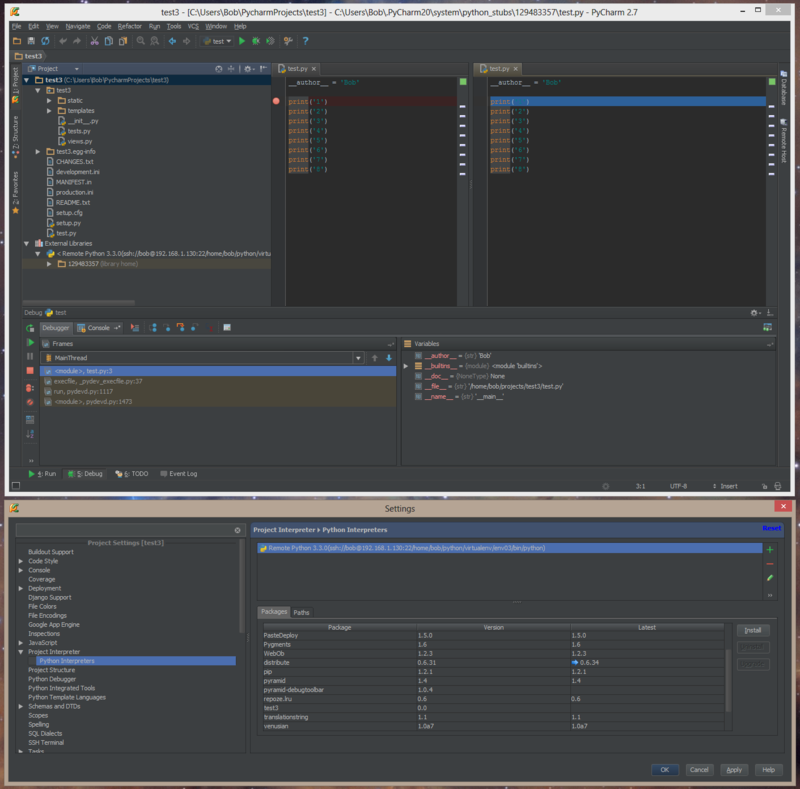 I'm using PyCharm on my local machine and my project runs on a separate server. I have successfully set up a remote Python interpreter. The test.py script present on my local machine is open in the IDE and I have set a breakpoint. When the script is debugged then PyCharm opens up a new tab with the same file from the python_stubs directory, the script stops at the correct line where the breakpoint was set but the breakpoint itself is not visible in the stub. How do I stop this behaviour and have PyCharm use the local file for debugging please? If I uninstall my project from the virtualenv then the script debugs using the local file. Unfortunately this is not a solution for me as the Pyramid application I'm trying to build relies on my project package being installed.